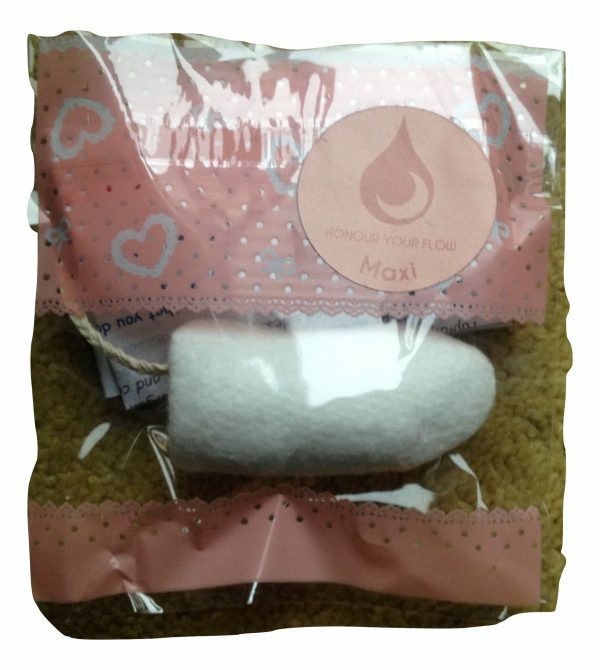 This Honour Your Flow Maxi Cloth Tampon is suitable for heavy flow days. Like all Honour Your Flow tampons, the size can be adjusted slightly you when you stuff it in preparation for use. They can be made longer and thinner or shorter and fatter, as you wish. 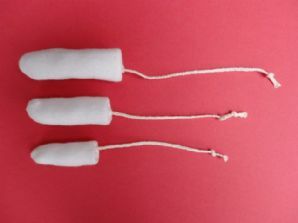 The HYF Maxi cloth Tampon measures roughly 5cm. Simply use a chopstick or pen to poke the fabric into itself, starting roughly half way along the fabric tube. More detailed instructions come with the tampons. Made from 100% pure organic cotton fleece which is highly absorbent. The drawstring is unbleached cotton. Machine washable at 60′. You will need to use a wash bag for washing otherwise they will end up stuck to the door of your washer! It is recommended that you wash in a gentle bio style washing powder, like Ecover, Bio-D or Soap Nuts, as mainstream washing powders may contain harsh chemicals unsuitable for internal use. 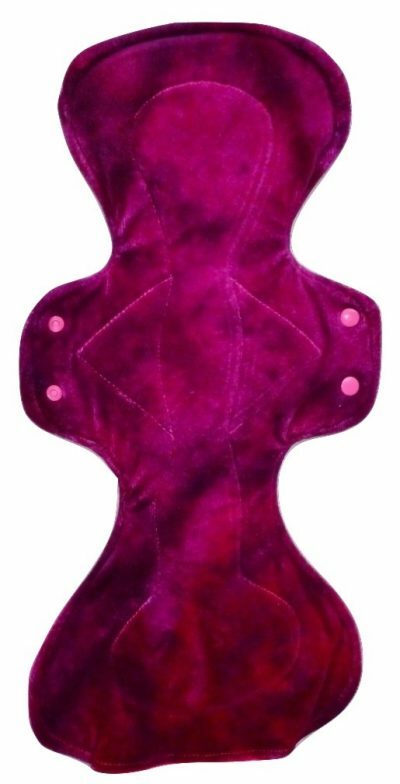 It is recommended to use pads for some of the time during your period in order to let any clots and thicker bits of tissue find their way out easily.